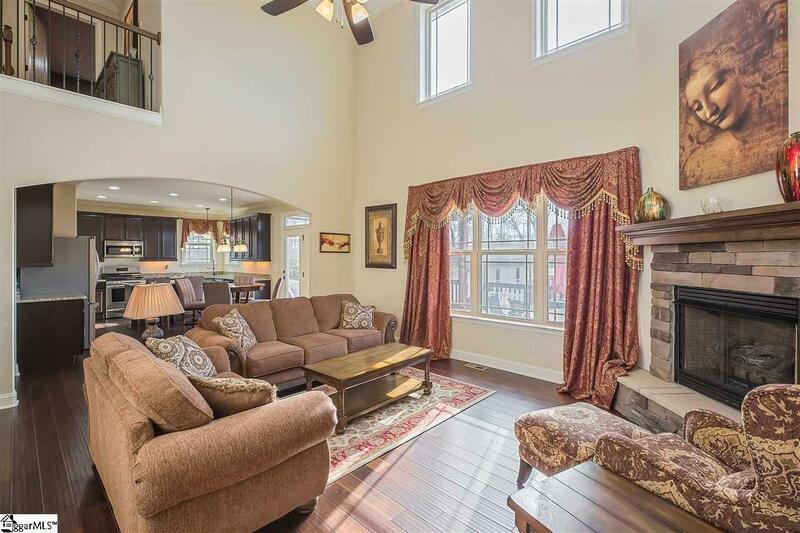 Stunning, simply elegant, open, light and airy describe this beautiful 4 BR/3BA home. This home is loaded with all the extras. 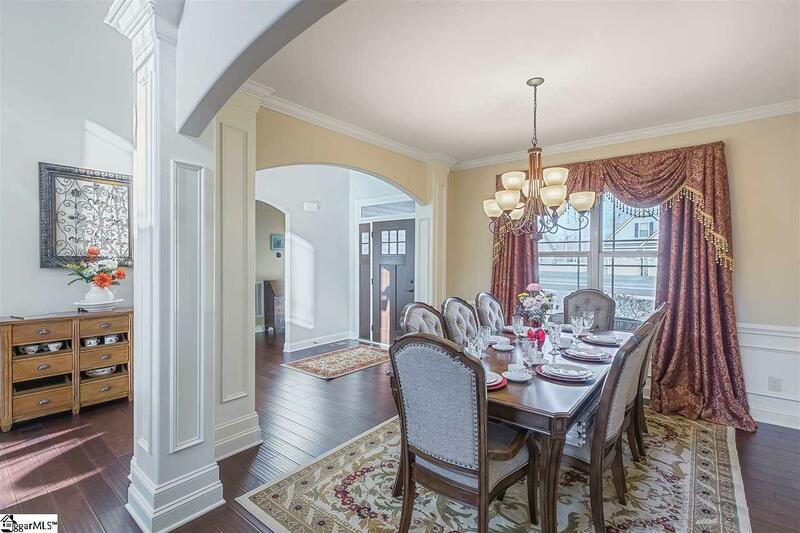 Soaring 2 story foyer greets you upon entering. Hardwood floors lead you through the main floor. 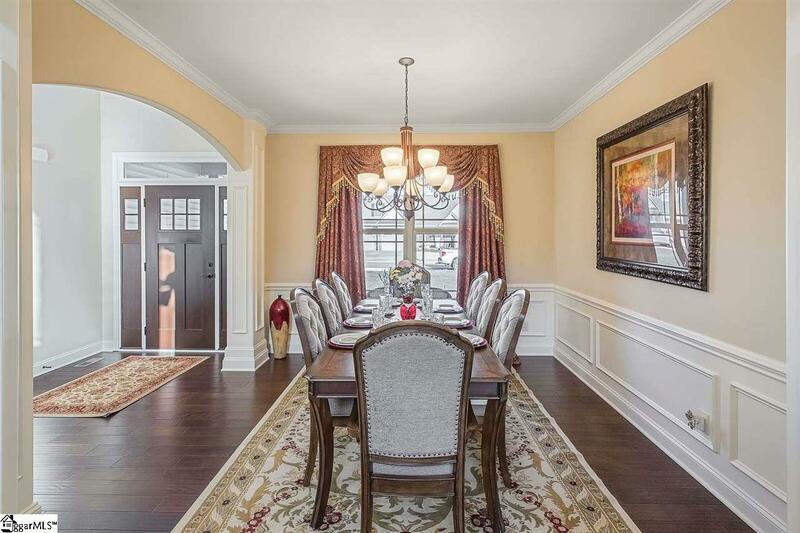 Formal dining room and warm living room has wood framed columns, crown molding and picture frame molding and stone hearth fireplace with gas logs. Great for entertaining! The kitchen is open and features granite counters, stainless appliances, pantry, gas cooktop stove, breakfast bar/island and large breakfast area. The huge master suite features tray ceilings, crown molding, bay window, garden tub, dual vanities, glass shower and one huge walk-in closet! Also, Guest bedroom and full bath on the main floor. The upstairs media room can be enjoyed by all and is surrounded by 2 additional bedrooms, with full jack and jill bathroom. For outdoor living the 12X12 Cover patio and the additional 16X16 deck has plenty of room for entertaining and grilling. The backyard also includes an additional 12X20 Storage Building that was custom build to match the house. Sellers have recently installed Solar Panels to this home. Utility providers are increasing rate every year, so by buying a home that already has solar energy, you don't have to worry about increased cost. The neighborhood features a community pool with street lights. 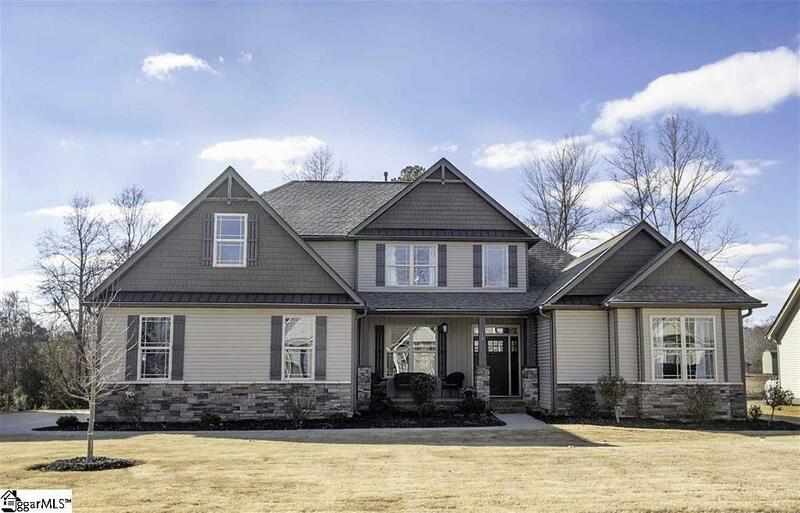 Located just 8-10 minutes into Greer/Taylors areas of the GREATER GREENVILLE Area, this locale is also convenient to the Greenville/Spartanburg Airport, BMW plant & Spartanburg! Being on the North side of Greenville & Northwest part of state brings you just minutes into the Blue Ridge Mountains & quaint mountain towns, including a nice little drive into beautiful Hendersonville or Asheville, NC. Additional upgrades include a walk-in laundry room on the main level, 2 story living room, elegant arched openings, bay windows multiple HVAC units, architectural roof, irrigation system, and so much more. This home offers a ton of space for the price and is a must see!